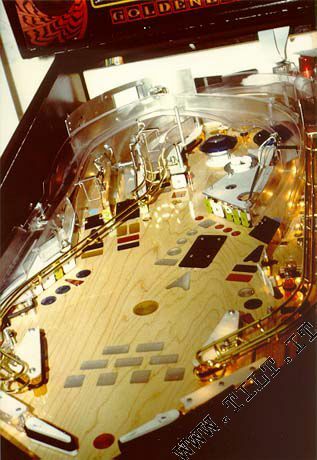 The 'whitewood', prototype with no graphics, of the 'Goldeneye'. 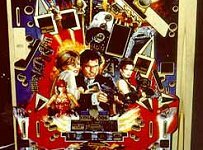 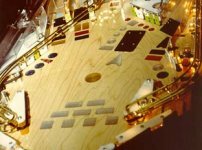 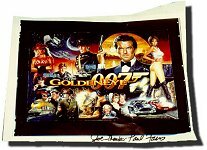 Il 'whitewood', il prototipo senza ancora la grafica, del 'Goldeneye'. 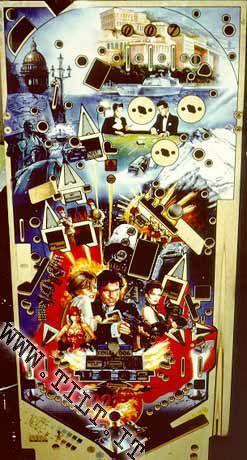 Il piano del prototipo del 'Goldeneye'. 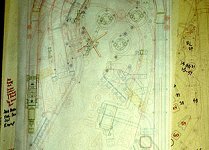 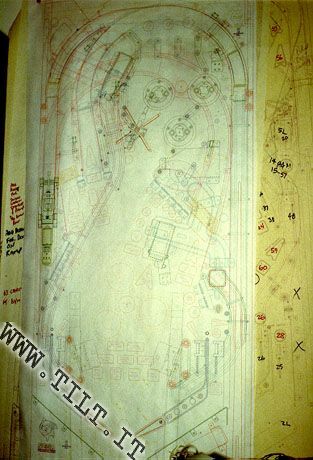 Original CAD drawings for the 'Goldeneye' playfield, on a wall near the pinball. 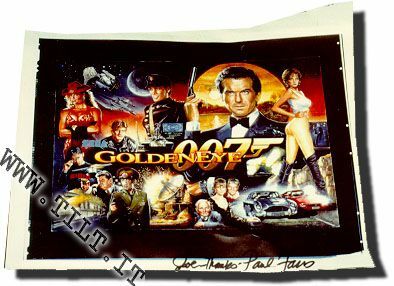 Progetti CAD originali del 'Goldeneye'.